He received his B.Tech. from the Indian Institute of Technology, Bombay, 1977, a M.S. in EECS, M.A. in Mathematics and Ph.D. in EECS from UC Berkeley, 1979, 1980, and 1981 respectively. S. Shankar Sastry is currently dean of the College of Engineering. He was formerly the Director of CITRIS (Center for Information Technology Research in the Interest of Society) and the Banatao Institute @ CITRIS Berkeley. He served as chair of the EECS department from January, 2001 through June 2004. In 2000, he served as Director of the Information Technology Office at DARPA. 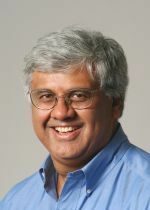 From 1996-1999, he was the Director of the Electronics Research Laboratory at Berkeley, an organized research unit on the Berkeley campus conducting research in computer sciences and all aspects of electrical engineering. 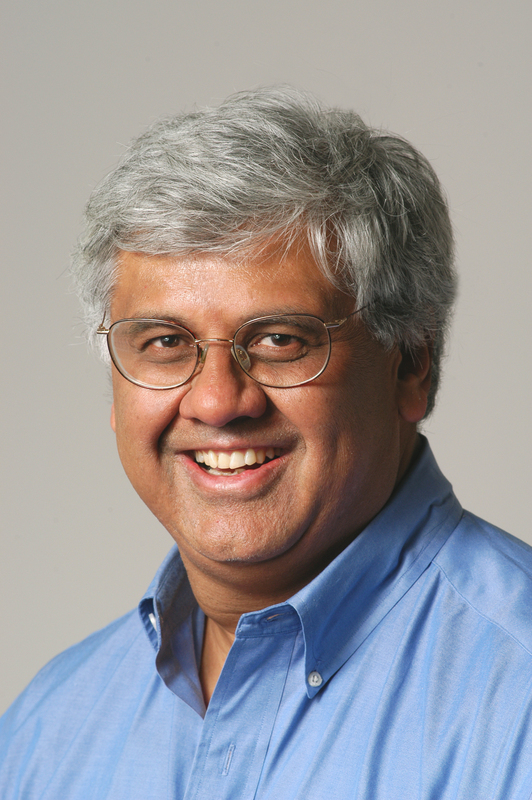 He is the NEC Distinguished Professor of Electrical Engineering and Computer Sciences and holds faculty appointments in the Departments of Bioengineering, EECS and Mechanical Engineering. Prior to joining the EECS faculty in 1983 he was a professor at MIT. L. J. Ratliff, S. Coogan, D. Calderone, and S. S. Sastry, "Pricing in linear-quadratic dynamic games," in Proceedings of the 50th Annual Allerton Conference on Communication, Control, and Computing, 2012, pp. 1798-1805. A. Abate, M. Chen, Y. Wang, A. Zakhor, and S. S. Sastry, "Design and Analysis of a Flow Control Scheme over Wireless Networks," International Journal of Robust and Nonlinear Control, March 2011. J. Wright, A. Yang, A. Ganesh, S. S. Sastry, and Y. Ma, "Robust Face Recognition via Sparse Representation," IEEE Transactions on Pattern Analysis and Machine Intelligence, vol. 31, no. 2, pp. 210 -- 227, 2009. A. Abate, S. Amin, M. Prandini, J. Lygeros, and S. S. Sastry, "Computational approaches to reachability analysis of stochastic hybrid systems," in Hybrid Systems: Computation and Control. Proc. 10th Intl. Conf. (HSCC 2007), A. Bemporad, A. Bicchi, and G. Buttazzo, Eds., Lecture Notes in Computer Science, Vol. 4416, Berlin, Germany: Springer-Verlag, 2007, pp. 4-17. L. Schenato, B. Sinopoli, M. Franceschetti, K. Poolla, and S. S. Sastry, "Foundations of control and estimation over lossy networks," Proc. IEEE, vol. 95, no. 1, pp. 163-187, Jan. 2007. S. Oh, L. Schenato, P. Chen, and S. S. Sastry, "Tracking and coordination of multiple agents using sensor networks: System design, algorithms and experiments (Invited Paper)," Proc. IEEE, vol. 95, no. 1, pp. 234-254, Jan. 2007. A. D. Ames and S. S. Sastry, "Hybrid geometric reduction of hybrid systems," in Proc. 2006 45th IEEE Conf. on Decision and Control, Piscataway, NJ: IEEE Press, 2006, pp. 923-929. X. Deng, L. Schenato, W. C. Wu, and S. S. Sastry, "Flapping flight for biomimetic robotic insects: Part I--System modeling," IEEE Trans. Robotics, vol. 22, no. 4, pp. 776-788, Aug. 2006. X. Deng, L. Schenato, and S. S. Sastry, "Flapping flight for biomimetic robotic insects: Part II--Flight control design," IEEE Trans. Robotics, vol. 22, no. 4, pp. 789-803, Aug. 2006. T. Roosta, M. Meingast, and S. S. Sastry, "Distributed reputation system for tracking applications in sensor networks," in Proc. 3rd Annual Intl. Conf. on Mobile and Ubiquitous Systems: Networking & Services (MobiQuitous 2006), Piscataway, NJ: IEEE Press, 2006, pp. 462-469. R. Vidal, Y. Ma, and S. S. Sastry, "Generalized principal component analysis (GPCA)," IEEE Trans. Pattern Analysis and Machine Intelligence, vol. 27, no. 12, pp. 1945-1959, Dec. 2005. J. M. Eklund, T. R. Hansen, J. Sprinkle, and S. S. Sastry, "Information technology for assisted living at home: Building a wireless infrastructure for assisted living," in Proc. 27th Annual IEEE Engineering in Medicine and Biology Society Intl. Conf. (EMBS 2005), Piscataway, NJ: IEEE Press, 2005, pp. 3931-3934. Y. Ma, S. Soatto, J. Kosecka, and S. S. Sastry, An Invitation to 3D Vision: From Images to Models, first ed., Interdisciplinary Applied Mathematics, Vol. 26, New York: Springer-Verlag, 2004. S. Oh, S. J. Russell, and S. S. Sastry, "Markov chain Monte Carlo data association for general multiple-target tracking problems," in Proc. 43rd IEEE Conf. on Decision and Control (CDC 2004), Vol. 1, Piscataway, NJ: IEEE Press, 2004, pp. 735-742. B. Sinopoli, L. Schenato, M. Franceschetti, K. Poolla, M. Jordan, and S. S. Sastry, "Kalman filtering with intermittent observations," IEEE Trans. Automatic Control: Special Issue on Sensor Networks, vol. 49, no. 9, pp. 1453-1464, Sep. 2004. J. Zhang, J. Vala, S. S. Sastry, and K. B. Whaley, "Minimum construction of two-qubit quantum operations," Physical Review Letters, vol. 93, no. 2, pp. 020502/1-4, July 2004. Y. Ma, S. Soatto, J. Kosecka, and S. S. Sastry, An Invitation to 3-D Vision: From Images to Geometric Models, Interdisciplinary Applied Mathematics: Imaging, Vision, and Graphics, Vol. 26, New York, NY: Springer, 2004. T. G. Goktekin, M. C. Cavusoglu, F. Tendick, and S. S. Sastry, "GiPSi: An open source/open architecture software development framework for surgical simulation," in Medical Simulation: Proc. Intl. Symp. (ISMS 2004), S. Cotin and D. Metaxas, Eds., Lecture Notes in Computer Science, Vol. 3078, Berlin, Germany: Springer-Verlag, 2004, pp. 240-248. A. D. Ames and S. S. Sastry, "Affine hybrid systems," in Hybrid Systems: Computation and Control. Proc. 7th Intl. Workshop (HSCC 2004), R. Alur and G. J. Pappas, Eds., Lecture Notes in Computer Science, Vol. 2993, Berlin, Germany: Springer-Verlag, 2004, pp. 16-31.